Check out some of the exciting premium activities at Atlantis Resort Bahamas. If the free activities aren’t enough, you have a choice of huge variety of things that require a fee. Climb a rock wall, dance all night, swim with the dolphins, walk with sharks, make your own teddy bear or ceramic pot, take a spin on the racetrack… There’s no lack of things to do at the Atlantis Resort Bahamas! 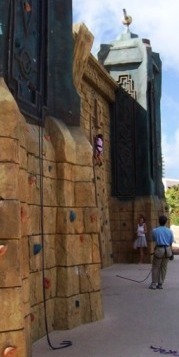 Don’t miss the exhilarating heights of Climbers’ Rush next to the Sports Center. At Atlantis in the Bahamas, the Dolphin Cay offers a variety of opportunities for anyone to interact with dolphins. An adult must accompany children, and there is a convenient waiting area for family members who prefer to remain on dry land! 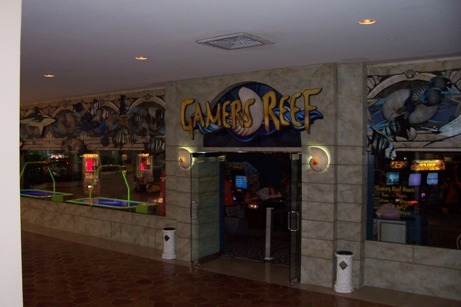 The huge Gamers’ Reef in the Beach Tower lobby provides many hours of playing action. The latest in arcade games and two-player action will keep teens busy after hours. 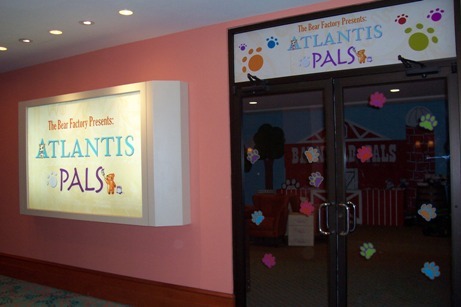 Kids of all ages enjoy the Atlantis Pals bear-making center, Beach Lobby, as well as the Pottery Studio. Rentals from Blue Adventures: Water Toys, Sports, and Excursions can be enjoyed in the lagoon. Check out Walking with Sharks, or rent an aqua cycle, kayak, or pedal boat for half an hour. Take a SCUBA lesson, goon a snorkeling excursion, or see the bottom of the sea in your own personal submarine. Kids enjoy spending adult-free evenings at Club Rush, which costs $18 for teens 13-17 (8:30 PM – 12:00 midnight), and $15 for kids 6-12 (4:00 PM to 7:00 PM). Snacks and soft drinks can be purchased in Club Rush. The hip crowd enjoys the pulsing beat of the hip Aura nightclub, upstairs from The Casino. Dress up in the latest resort fashions and check out the beautiful people. 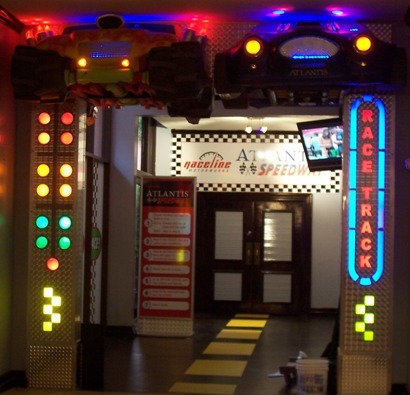 Take a spin on the racetrack at the Atlantis Speedway downstairs fromn the Coral Tower lobby. Kids of all ages build and race radio controlled race cars and monster trucks. In December 2008, The Jonas Brothers appeared at the Atlantis, and my cousin, Emily, provided pictures that will please any fan!